Most of the works Mike has written over the years have been rarely seen in public. This is because his writing has focused on technical papers and documentation for the various projects he has worked on as an engineer and technical consultant. He's trying to change this and express more of his creative side, which he has found is a lot more emotionally fulfilling than writing step-by-step instructions for using a computer application. It's not that he hasn't had a lot of experience in creative writing; growing up, he wrote pages and pages of journals about his thoughts, wishes, and dreams. Unfortunately, those have all been lost to history. Mike has vowed, however, to never lose another piece of his writing ever again. 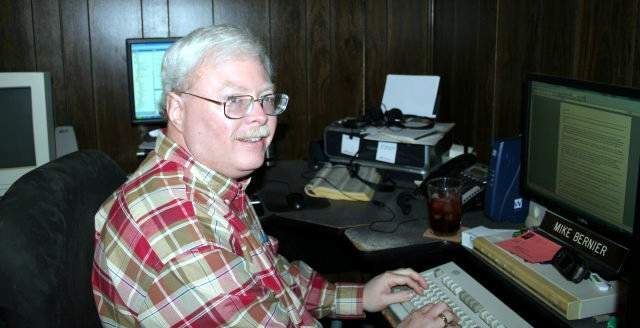 As a result, he has become something of an electronic pack-rat and now has thousands of documents, e-mails, and IM conversations on file dating back 20 years. They've come in handy, too; some of the older e-mails provided the inspiration for his first NaNoWriMo novel in 2009. Mike calls Denison, Texas his home, where he lives with his wife and three children.